So Lauren fainted, Dallas is missing, and Luis is still in the guest room. Well at least now we know why she doesn&apos;t like people being mad with her. So we need to devise a plan? Right? Right. Okay. "So obviously first things first wake up Lauren. Anybody know how or want to?" I ask looking around. Before anyone can say or do anything Alex is already pouring a bottle of water on her and she gasps awake. "What the?!? Who did it?" Lauren asks still rubbing the water from her eyes. "I did. Now on to the next step... Where would she go and what did she take?" Alex says looking around. We all look at her weird and she notices we aren&apos;t helping. "Why are you looking at me like that for?" She sighs out. "Why do we need to know what she took?" Dinah asks for everyone. "Well she was in a rush but she isn&apos;t stupid. So what she took could help us find her." She says still looking. "And so far I see she&apos;s taken her phone, charger, wallet, some clothes, and her drawing stuff. So basically all she needs." She says super fast. "How do you know all that from the little bit of looking you&apos;ve done?" Lauren questions coming in with new clothes. When did she leave? "Well I&apos;m observant." She shrugs. "The drawer and closet are open, they weren&apos;t earlier. And with a glance around the room you can see her charger, drawing stuff, and wallet is missing from there spots. And she always has her phone. So.... Where could she have gone?" "A hotel. If she has her wallet then she has the money for one. Did you put the "track my phone" app on her phone lauren?" Normani speaks up. "Uh yeah it should be on. I&apos;ll go grab my phone." And with that Lauren left. "You&apos;re really smart, yanno that?" I ask Alex. She shrugs and looks down. "It&apos;s just how I see things. Or choose to see things. I play life as a game. What I just did was a spot the difference, ya see. There&apos;s a game for almost everything." She says looking up with a small smile. "I see why Dallas likes her." Dinah whispers in my ear. I nod and smile as Lauren walks through the door. "It&apos;s found her. Let&apos;s go get her before she realizes were tracking her." She says in a rush. Finally a hotel, Hampton Inn, it&apos;s close but not to close to the house. I go in and get a room for 3 nights, just long enough to plan everything out. I look at the card it says 537. Whilst in the elevator i might as well check my phone. There&apos;s a bunch of texts from the girls and a couple from Alex. CamCam- DALLAS WHERE ARE YOU?!? TEXT ME WHEN YOU GET THIS PLZ PLZ PLZ! I NEED MY CUDDLE BUDDY BACK! Dinah(queen)-SHORTY WHERE ARE YOU? TEXT ME BACK ASAP! IMA BOUT TO GIVE YOUR MA AMD HER A**HOLE OF A BOY TOY A POLY BEAT DOWN! Ally(the awesome)❤️- Hey when you&apos;ve calmed down can you give me a call? I want to talk. Plz we miss you lots and Lauren feels really bad. Manibear- Hey shortstop call one of us plz! We need to know you are ok. We love you! Just contact one of us please. 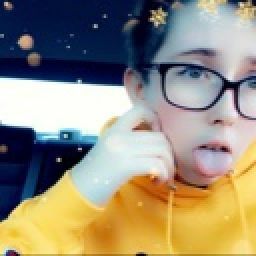 Alex the Awesome - Hey I know that you are feeling neglected right now but can you contact one us. We all are worried sick. I need to know you are okay. P.S. I knocked F*ck boy out again. I giggled at the last part. The elevator doors opened and I walk out and find my room. 533. 534. 535. 536. Aha 537. I open the door and fling my bag on the bed. I go grab a sports bra, underwear, and a pair of basketball shorts then go get a shower. After I&apos;m done I order a taco pizza from East of Chicago. I plop on my bed and grab my phone to find one text unread. Mommy- Baby girl I&apos;m so so so so sorry I didn&apos;t believe you. I should of I guess I just hadn&apos;t seen him in so long I didn&apos;t want to believe it. I know that&apos;s not an excuse tho. Just come home and I&apos;ll make it up to you. Princess I love you. I need you. Your my daughter I&apos;m like nothing without you. I don&apos;t care that you came into our lives only a couple of days ago it&apos;s like you&apos;ve been here forever. Just please come home... I miss you baby girl. By the time I&apos;m don&apos;t reading it I&apos;m crying. No one has ever said anything like that to me. I get up and go to the bathroom and wash my face again. I lay back on my bed and turn on regular show. I don&apos;t know if I should go back. Part of me says don&apos;t be stupid go be with your family but the other parts like don&apos;t you&apos;ll just get hurt again. I&apos;m pulled out of my thoughts by a knock at the door. It&apos;s just the pizza guy, do I put a shirt on or no. No. I open the door with the money in my hand but when I look up its not the pizza guy. "You&apos;re not pizza." I say disappointed and leave the door open for them. "That&apos;s all you have to say is we aren&apos;t pizza?" Dinah says. "Well kinda disappointed. I was hoping for my taco pizza." I say watching the t.v. "Well you going to sit or are you all just going to stand and stare at me?" As soon as it comes out of my mouth I&apos;m under everyone. "Oh. Gosh. Need. Air!" I gasp out. Everyone gets off but Camila, Alex, and my ma. "I&apos;m not moving." They all say at the same time then look at each other and laugh. Then there&apos;s a knock on the door and I push them all off. "How did you do that?" 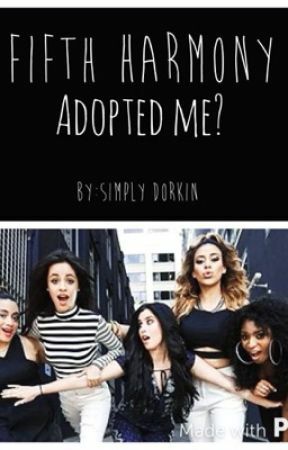 Normani asks. I shrug and say "pizza". I open the door and boy a little older then me is standing there. "Hi, that&apos;ll be 11.26." He says then looks up. Immediately his eyes are on my chest. It&apos;s very awkward. For me until Alex comes down the little hallway thing in my room. She sees what&apos;s going on and wraps her arms around my waist and pecks my cheek. "Babe what&apos;s taking so long?" She asks then looks over at the kid. I turn back and his eyes are &apos;bout 5 times bigger. It&apos;s incredibly hard not to laugh at him. "Uh... Uh... H-here&apos;s your pizza." He says and hands me the box then runs down to the elevator without taking the money from my hand. I shut the door and we can&apos;t help it we bust out laughing. We walk back in the main part of the hotel room, man this hotel room is weird shaped, still laughing and the girls look at us weird. "I just got a free pizza." I say calming down and opening the box. "How? And that looks horrid." Ma says. "I think you mean it looks like heaven. And the pizza guy was just staring at my chest and like wouldn&apos;t stop so when Alex saw she came up behind me and acted like we were dating then the guy took off out of the building." I say and I feel my neck get red when I see dinah and cam smirking at me. "That&apos;s awesome but seriously that looks awful." Ma says again. "It&apos;s like the greatest thing on this planet. Try some." I say taking it over to her and holding it to her mouth. She takes a bite and chews. "Sooo?" "It&apos;s actually really good!" She says still chewing. "I know!" I say and flop down on the bed. Amazing World of Gumball is on now. "So where&apos;d you put him?" I ask Alex. She looks confused for a second then it clicks. "Oh I locked him in like a guest room or closet. I don&apos;t even know." She says taking a piece of pizza. "Heyyyyyyyy thatssssssss mineeeeeeee" I whine like a little kid. "To bad so sad" she says chewing as I pout. "My taco pizza." I mumble. "Can I talk to her alone girls?" My ma asks. They nod and get up and leave i don&apos;t know where they plan on going though. "So I know you read my text. Do you forgive me?" She asks looking at me. I can see in her eyes that she didn&apos;t mean what she said earlier and actually sorry. I sigh "You&apos;re really lucky I believe in second chances." I say and hug her. "I know I am baby girl." Says and kisses my head. "So are you coming home now?" "Yeah I&apos;m coming home." Hopefully I don&apos;t regret this. The girls come back in and I throw all my stuff in my bag. "How&apos;d you find me?" I ask looking up. "Well you see... Funny story. We tracked your phone." Mani says. "Oh ok." I say and shrug. I didn&apos;t really care just curious. We go down to the lobby and check me out of the room then we hop into the car.